alhousie is a hill station in Himachal Pradesh that is an ideal holiday destination for every kind of traveller. There is so much to do and see in Dalhousie and those who visit fall in love with the place. You have a ton of things to choose from when exploring the area: visit a temple or a church, go horseback riding or parasailing. And, these are not the only activities to enjoy in Dalhousie. If you are travelling to Dalhousie anytime soon and are not sure of what kind of activities to expect in the hill station, this guide to the best things to do in Dalhousie should prepare you for what to expect. One of the most famous lakes near Dalhousie, the Chamera Lake is famous for its boating. Although a bit expensive, the experience is fantastic. You can gaze around from the boat at the stunning landscapes around and watch the sunset from the middle of the lake. There are multiple boating options: opt for a lazy ride down the lake or, if speed thrills you, zip through the water on a speedboat. DainKund Hill is one of the highest points in Dalhousie. It is a great spot for hiking as not only is it easy to get to the top, but you will also pass through scenic routes on the way there. Once at the peak, you’ll be treated to majestic views of rivers, meadows and waterfalls. The route is easy, so trekking at DainKund is comfortable for amateurs as well as those who have not trekked before. The Rock Garden in Dalhousie is a great spot for a one-day picnic or a day out with family or friends. There is a lot that one can do at the garden. Besides walking and lazing around, there are many adventure sports activities to enjoy. There’s ziplining for around Rs. 200 and plenty of other activities to enjoy as well. 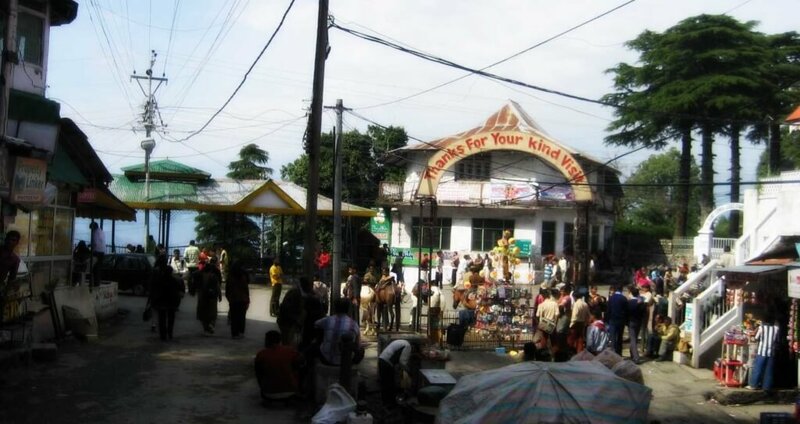 Dalhousie has a large Tibetan population so it is no wonder that there are many Tibetan markets in Dalhousie. The most famous one is at Gandhi Chowk. At the market, you can shop for everything, from artefacts to caps and clothing to a variety of handicrafts, it is all available at the market. Gandhi Chowk market is quite famous for its kids toys and woolen clothing. One thing that everyone who visits Dalhousie has to do is visit Garam Sadak Street. 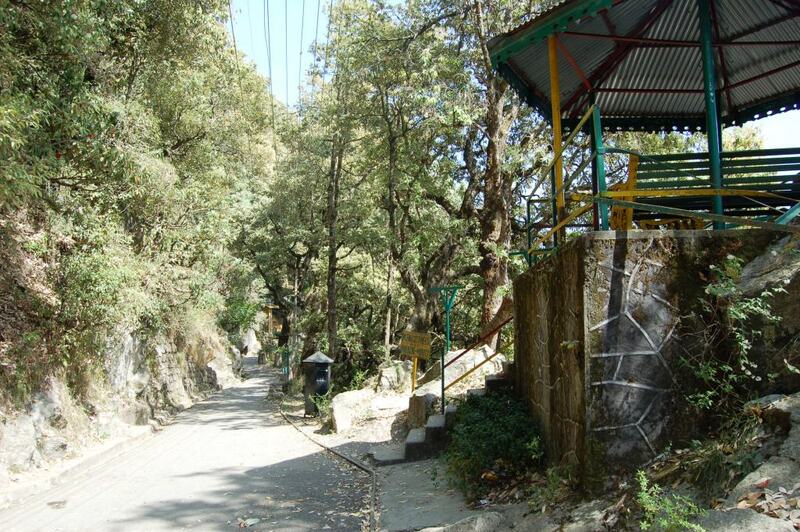 An iconic street, from here you can gaze at the stunning landscape views of Dalhousie and the valleys. The place is also famous for its Tibetan rock paintings. There are decent shops where you can buy local products as well as a few restaurants to enjoy local cuisine. Visit the Kalatop Wildlife Sanctuary for a day out filled with fun and exploring. Catch glimpses of the Himalayan bear and other exotic animals when you take a safari tour. Those that love exploring nature can go on nature trails within the nature reserve. There is a small open section that is ideal for a picnic too. 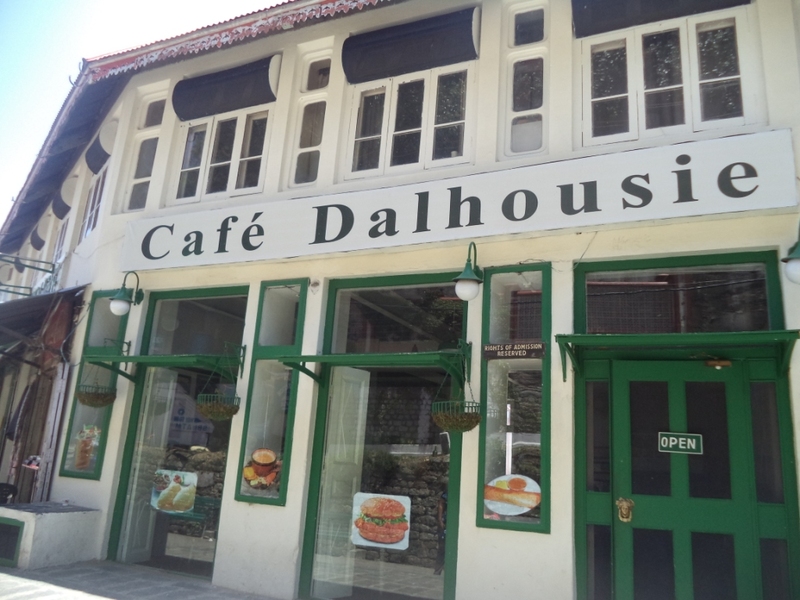 Café Dalhousie is one of the most famous eateries in Dalhousie. The best part about this place? The stunning views it offers of the hills and the valleys. Go here during the evening to watch the sunset and drink a cup of delicious lemon tea. If you plan to go for dinner or lunch, they do have an excellent selection of global cuisine. Pick from the menu or ask the friendly wait staff for recommendations. One of the most exciting adventures to experience in Dalhousie is paragliding. Adventure seekers have the chance to choose between skydiving and hang gliding. The best time to enjoy paragliding in Dalhousie is between the months of September to November and January and June. The cost for paragliding in Dalhousie is around Rs.1,500 and it is held at Khajjiar. One of the most relaxed and fun activities to do in Dalhousie is horse riding. Take a horse ride to some amazing places in Dalhousie and soak in all the beautiful sights that the hill station has to offer. Horse racing is conducted daily from 9 am to 4 pm all over Dalhousie and costs around Rs. 300 for a ride. 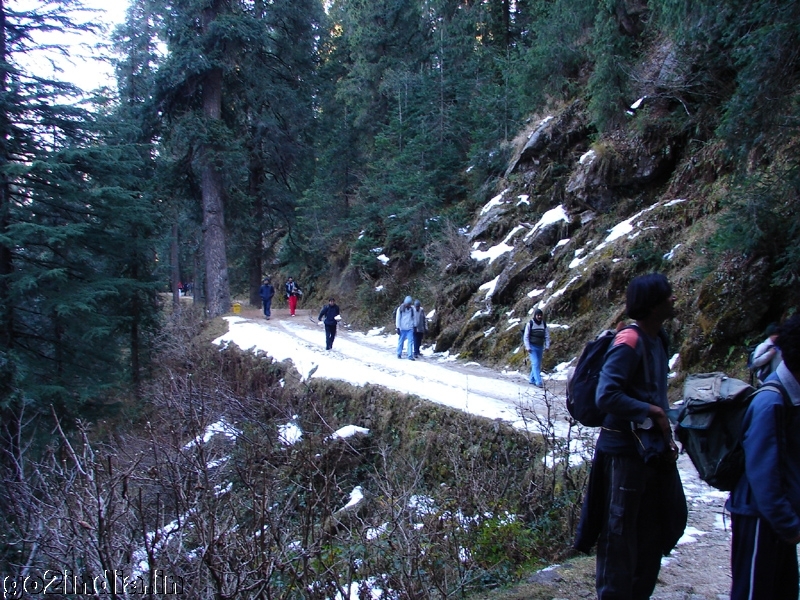 The Upper Bakrota Loop Walk is one of the most scenic walks in Dalhousie. This 3 kilometre stretch is a must visit for every tourist. In fact, every tourist guide or local will make it a point to suggest tourists take a walk along this route. Besides being famous for its excellent views of snow clad hills, the place is also lets you have a peak at Snowdon Residence, the former residence of Rabindranath Tagore. Another great activity to enjoy in Dalhousie is camping. The hills are the perfect setting for hosting or participating in outdoor camps. In Dalhousie, there are many camps that are organised during the tourist season, the best ones are held on the Chamba Hill and in Khajjiar. The next time you are in Dalhousie and are looking for things to do, we suggest that you pick an activity from this list. We have put together all the best things to enjoy in Dalhousie for a fun-filled vacation. Speaking of fun things to do, what are some of your favourite things to do on a holiday? Are you are person who just loves to relax and unwind or are you the type of person who loves exploring? Do lets us know about your favourite things to do in the comments below.